The U.S. delegation publicly rejected the Russian Federation’s targeted discrimination against Tatars and other ethnic minorities in Crimea during the Organization for Security and Co-operation in Europe’s (OSCE’s) September 29 Human Dimension Implementation Meeting session on national minorities. The meeting is held against the backdrop of threats to the fundamental principles upon which European security and the OSCE itself were founded, including key commitments on the rights of persons belonging to national minorities. U.S. Head of Delegation Brian Atwood stated his strong recommendation that the Russian Federation end its siege on human rights in Crimea, including its discrimination against minorities and its characterization of Crimean Tatars as extremists. Recent attempts by the Russian Federation Ministry of Foreign Affairs to smear Crimean Tatars as “extremists” underscore the long-standing practice of applying broadly worded anti-extremism laws to target individuals as well as ethnic and religious groups with which Russian authorities do not agree. 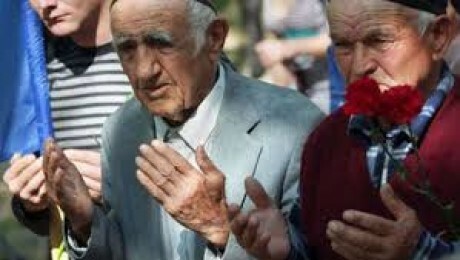 Unfortunately, human rights in Crimea continue to dramatically deteriorate for those who oppose Russian occupation or are members of ethnic or religious minorities. Atwood concluded that the United States rejects the application of Russia’s repressive laws in Crimea. The United States does not and will not recognize Russia’s unilateral attempt to “annex” Crimea.